"The greatest new dance craze to capture the public's imagination is the Monkey Dance or Monkey Music. The dancers are allowed a great deal of freedom as they move about to exciting riffs and back beats. 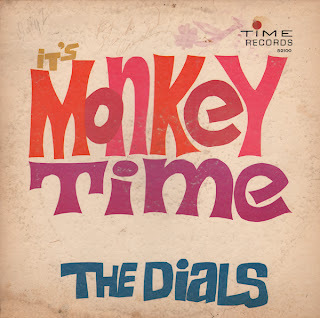 The Dials, a great new group out of Nashville, generate a new kind of excitement as they tear through 12 great songs with the authentic feel."